The Food Alphabet and More: Order your McDonald’s favorites on June 8 by doodling on Instagram Stories! 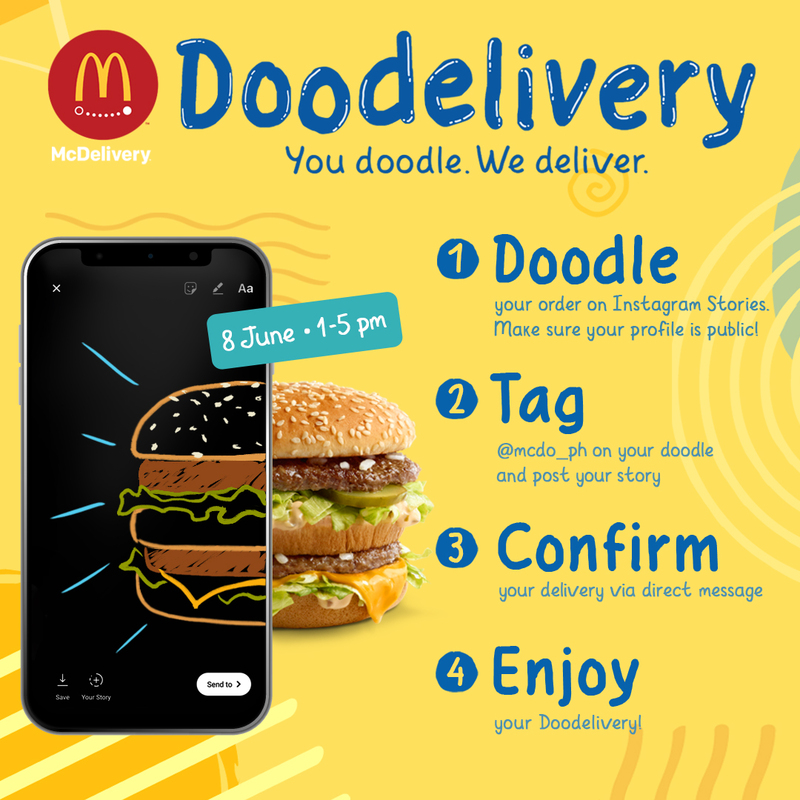 Order your McDonald’s favorites on June 8 by doodling on Instagram Stories! McDonald’s Philippines is making McDelivery extra fun and exciting with Doodelivery! On June 8 (Friday) from 1-5 PM, you can simply doodle your order on Instagram Stories then have your McDonald’s favorites delivered straight to your doorstep. That’s right! For the first time ever, you’ll be able to satisfy your McDonald’s cravings with this fun way of ordering. All you have to do is set your Instagram account to public, tag @McDo_PH, and wait for the direct message confirming your order. 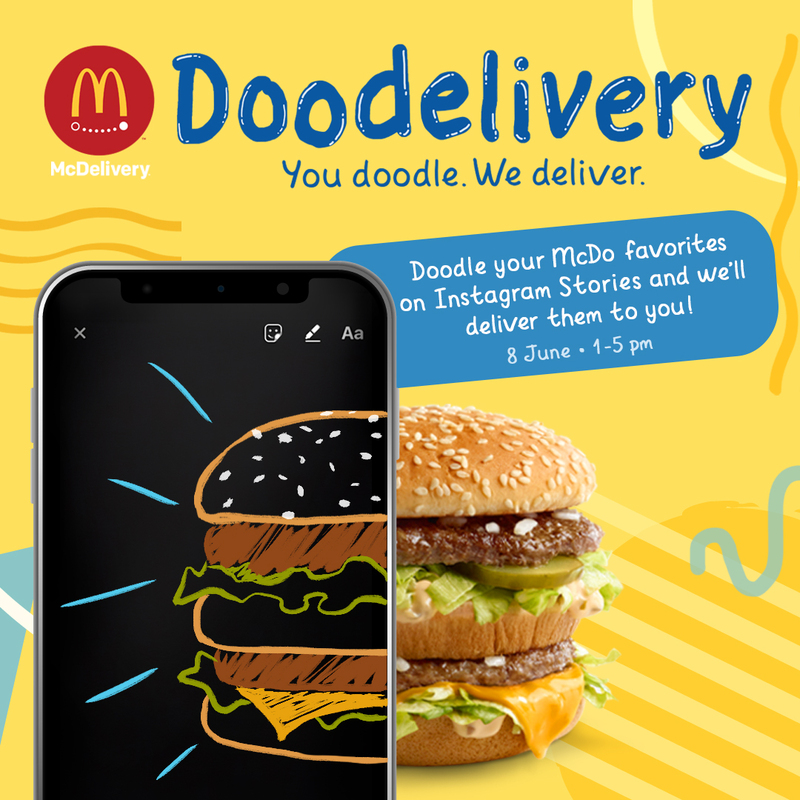 Whether it’s the Best Tasting 1-pc Chicken McDo or a Cheeseburger Meal, you doodle it, and we’ll deliver! Have food and fun delivered to you by ordering via Doodelivery on June 8, 1-5 PM! Tag @McDo_PH, use the hashtag #Doodelivery, and share your Doodelivery moments on Instagram.